Heater Repair | Fresh Air, L.P. There are a number of great benefits to using a ductless mini split to both heat and cool your home—high efficiency, zone control heating and cooling, less dust and dirt blown out due to the lack of air ducts, and versatility in installation. 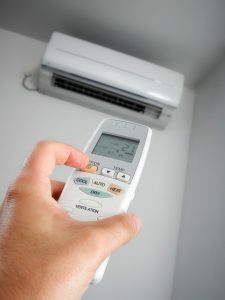 One benefit that doesn’t get brought up that much is the fact that ductless systems use multiple air handlers, with individualized temperature control. These are small wall units placed in different rooms and areas of the home, rather than you using a single air handler for the whole-home. So when one unit, or rather one air handler, stops working, you don’t have to lose ALL your heating or cooling—just that one area.